New York (AFP) - They may have been buffeted by crises on and off the court, but the New York Knicks remain the most valuable franchise in the NBA, Forbes reported on Wednesday. The Knicks are languishing in the bottom half of the Eastern Conference after a 23-33 start to the season which last week saw former star Charles Oakley banned from attending home games by team owners. But the poor form and off-court soap operas have done nothing to diminish the Knicks' money-spinning value, according to Forbes. 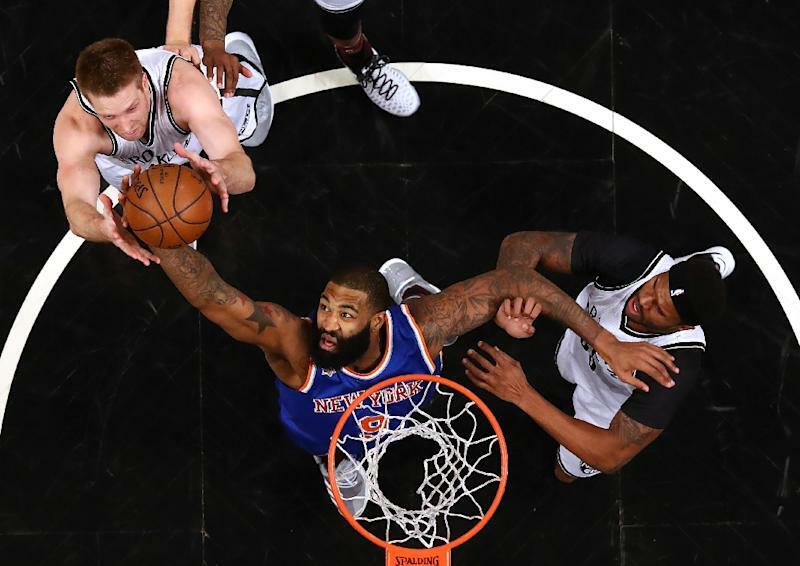 The magazine said in its annual survey of NBA team valuations that the Knicks were now worth an estimated $3.3 billion (3.1 billion euros), a 10 percent bump on 2016. The Knicks posted an NBA-record operating profit of $141 million last year, despite a losing 32-50 season record. Another iconic franchise with a dismal record -- the Los Angeles Lakers -- were ranked second with a value of $3 billion. The Lakers, who suffered the worst season in their history in 2015-2016 with a 17-65 campaign, are also struggling again this year at 19-38. The top five was rounded out by the Golden State Warriors, Chicago Bulls and Boston Celtics. The Warriors' value was put at $2.6 billion, a 37% increase from 2016, a spike attributed to surging ticket and sponsorship revenues. The franchise has also broken ground on a state-of-the-art arena due to open in 2019. But while the Warriors success on court has seen them march up the rankings, the NBA champion Cleveland Cavaliers were only 11th overall out of 30 teams. The Cavs were one of three teams, along with the Los Angeles Clippers and Oklahoma City Thunder, to post a loss last season. Cleveland's $40 million loss -- attributed to payroll excesses -- was the fifth biggest in the history of the NBA.